So then, just as you received Christ Jesus as Lord, continue to live in Him, rooted and built up in Him, strengthened in the faith as you were taught, and overflowing with thankfulness. Col. 2:6-10 In this one sentence, written by Paul the Apostle, we have a picture of the three levels of maturity in a believer. The three levels can be symbolized by a tree. 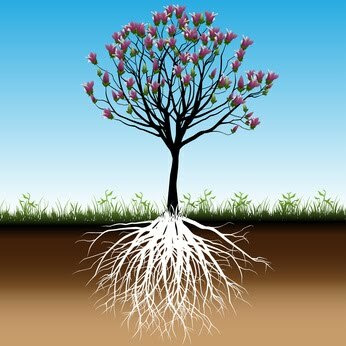 The first level of maturity is the root system, being ‘rooted’ in Christ, i.e. firmly established in the foundations of the Gospel. To be rooted is to understand and consistently walk in grace, the undeserved favor and blessing of God through faith in Jesus. The health and expanse of this root system determines the health and expanse of the harvest of fruit coming from the tree. Grace is the essence of the Gospel, the cornerstone of our relationship with the Father. Without grace we would need to work for our righteousness. Without grace we would have to prove ourselves worthy of approaching the Father in prayer. Without grace we would need to perform old covenant rituals to cleanse ourselves in order to experience the presence of God. Without grace we would never have an assurance of eternal life. Without grace our outward behavior would be the standard of righteousness. Without grace the wrath of God would still be upon us. Without grace we would be dependent upon certain ‘anointed ones’ (prophets) to hear what God is saying on our behalf. Without grace we could never be built up and produce the fruit of grace……..the harvest of HIS righteousness flowing through us to produce 30, 60, and 100 fold in the Kingdom of God. Leaders, if you desire for people to walk in greater levels of maturity, continually teach them the roots of grace. It is from these roots that the whole tree absorbs nutrients, gains strength, and bears fruit. It is from these roots that they become established, rooted, and sufficiently supplied to grow to the next levels of maturity in Christ. Don’t rush the process. The expansion of the unseen root system below ground determines the health of the tree above the ground.